Today I'm playing along again with sneak peeks of a new cutting plate and Whimsical Wishes stamp set I illustrated for this Taylored Expressions release. 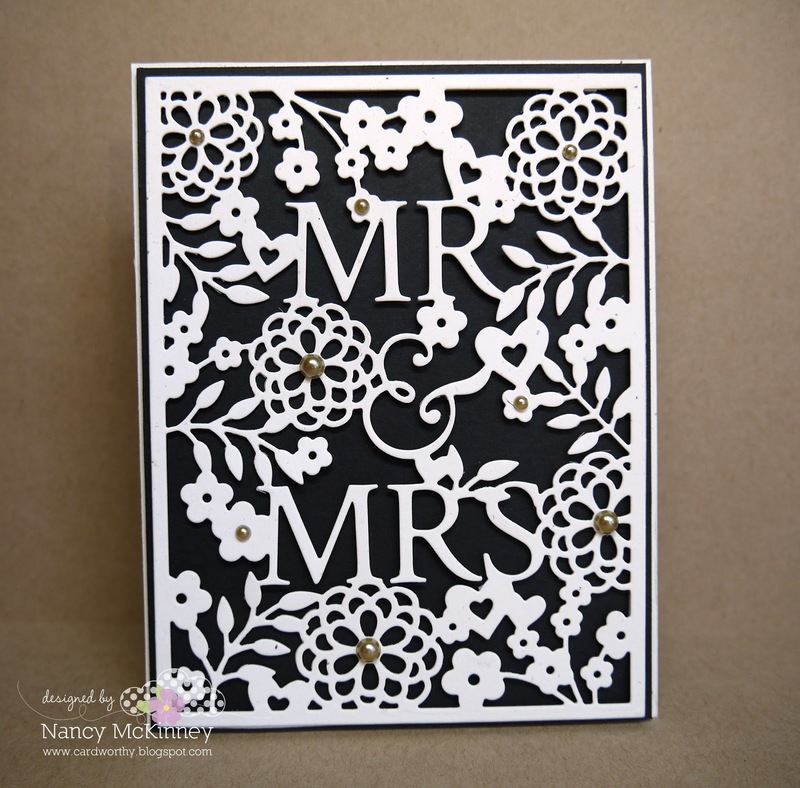 Love the detail we were able to include in the new MR & MRS cutting plate! 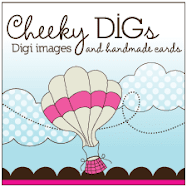 It stands alone with very little embellishment as in my first card. 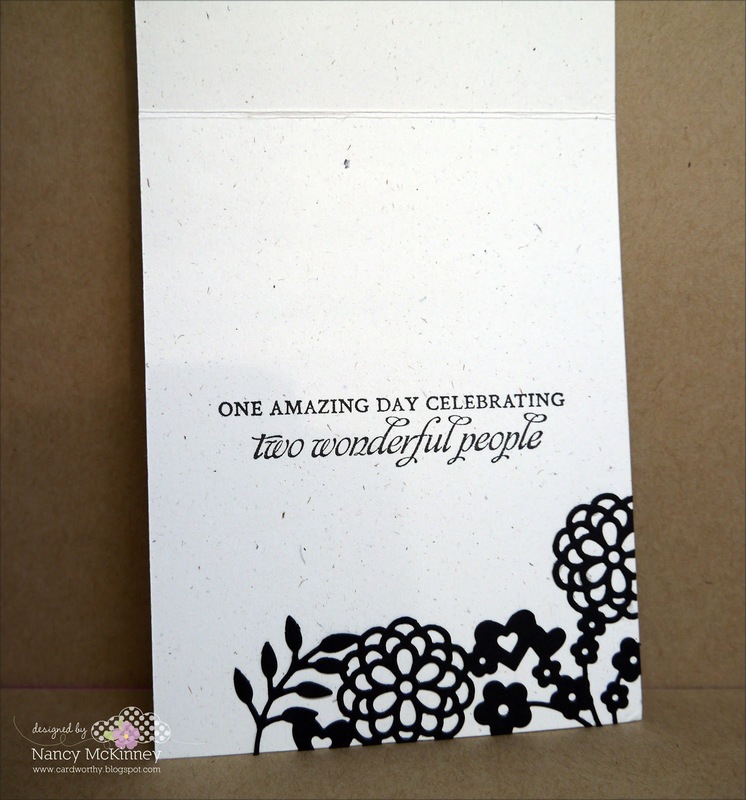 I added some half pearls to the front and stamped the sentiment inside from Happily Ever After. 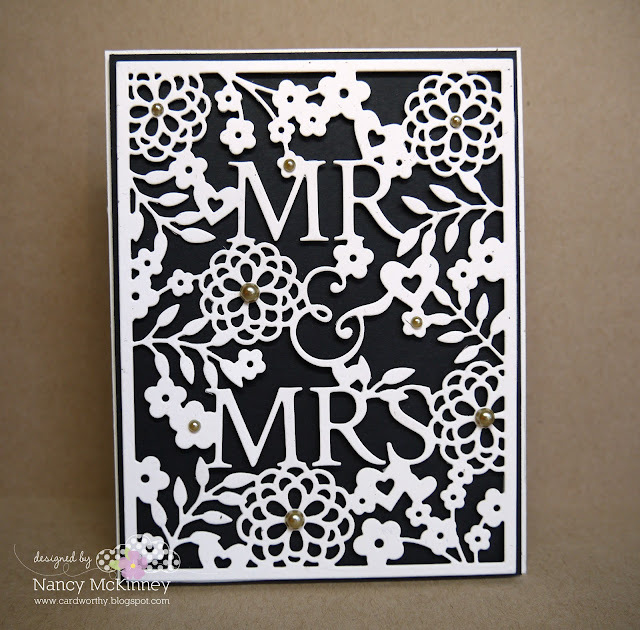 I rarely decorate the insides of my cards but I couldn't resist trimming and placing a portion of the cutting plate pattern. 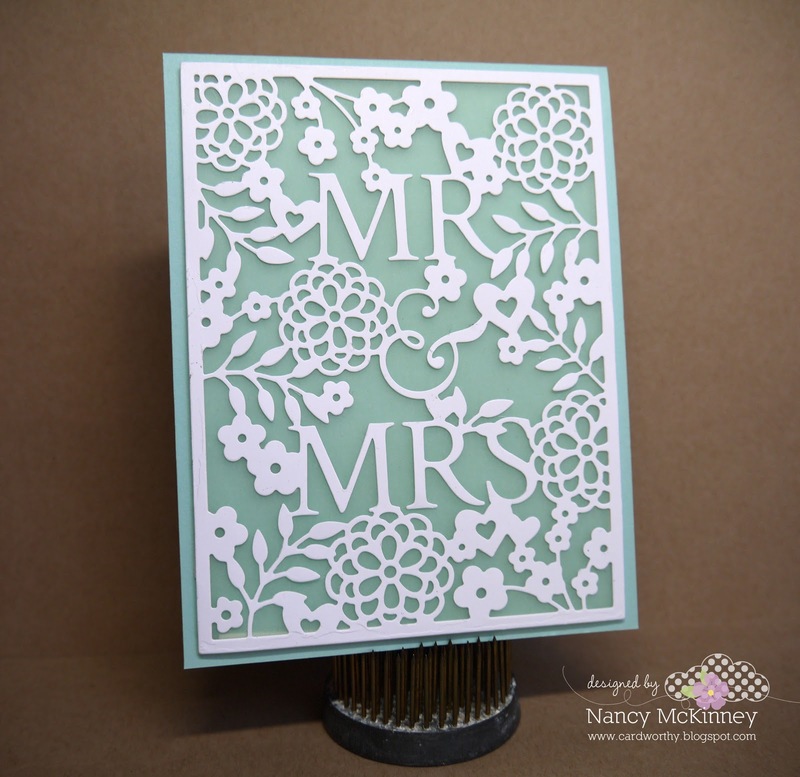 My second card started with the cutting plate again. I layered it over vellum and I think that's enough for a quick wedding card. 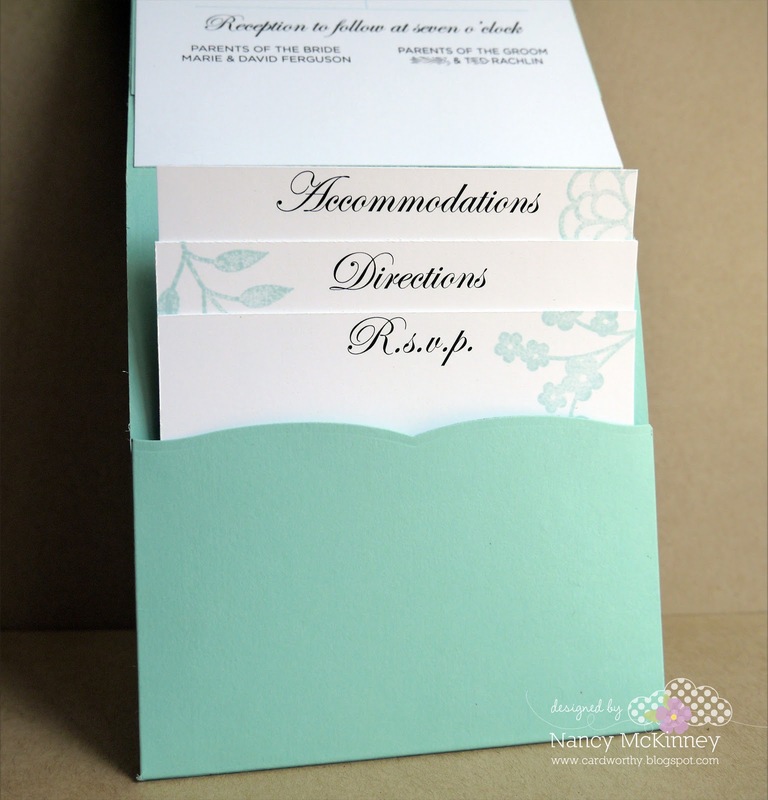 After I made the card, however, I wanted to play with the idea of a pocket invitation. My sister is getting married sometime in the next decade so this is just a fake to get the idea across. I found inspiration for the layout and wording on the Jaffa Printing website—some very cool ideas! I wouldn't want to make 100 of these by hand, but I'm sure the cardstock pocket itself could be ordered through a printer and then the cutting plate and Happily Ever After stamp set could add the special DIY finishing touches. Wow, Nancy! These are so clean and gorgeous! 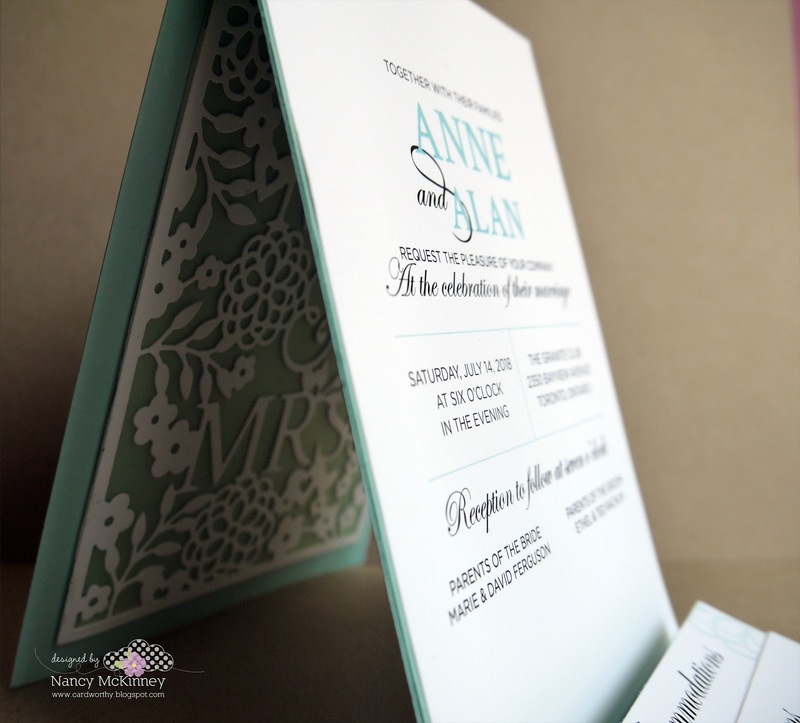 Your file invitation set looks fabulous!!! So elegant!! Hope you'll be able to do these for your sister when the time is right!! 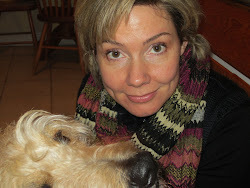 Gorgeous, Nancy! This plate is absolutely stunning - definitely can stand on its own! 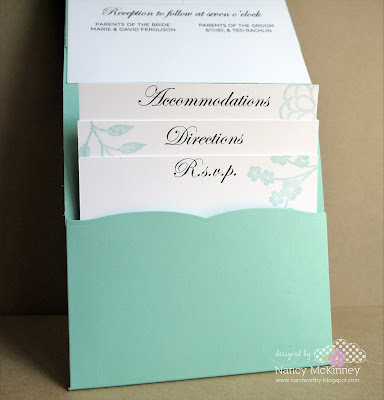 Love your idea for the invitation and pocket! 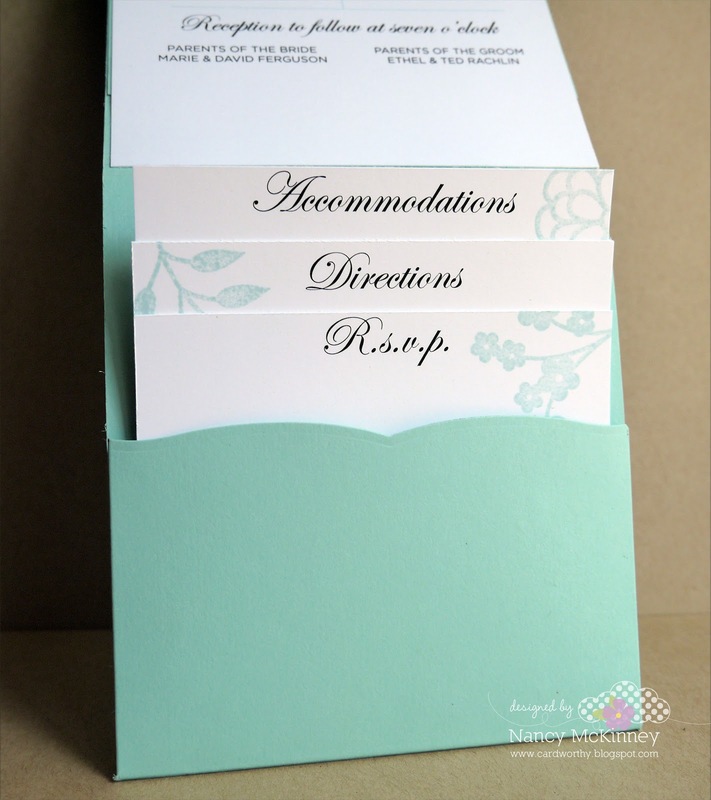 The black and white color combo on the first card is sooo classy and I love how you added the vellum to the second...it adds such a soft, delicate look and what a fantastic job you did on the invitation and pocket!!! !